On Monday 14 May 2018, Silloth-on-Solway Town Council elected Cllr. Tony Markley as Mayor, for the sixth year running. Cllr. Graham Wilkinson was also elected as Deputy Mayor. 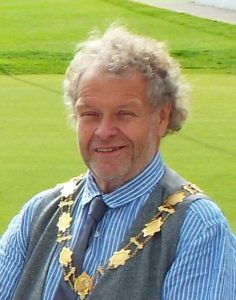 The Mayor of Silloth is happy to support any Silloth-based resident, organisation or group, as far as diary commitments allow. If you would like the Mayor to attend an event, please contact the Town Clerk or the Mayor direct.